Belgrave Network & Waterfront Sports & Education Academy present The Second Busy Bee Belgrave Volunteer Awards At Belgrave Hall On Friday 5th June!. The event was produced by the Belgrave Network, a ‘group of local residents who share ideas and skills to create projects that benefit local people in Belgrave’, and Waterfront Sports and Education Academy. The Busy Bee Belgrave Volunteers Award aims to commend volunteers for the contribution that they make to their community, and the efforts of over 70 volunteers were celebrated at the event in June. Two volunteers from Action Deafness, Sahresh Akram and Farhnaz Abubakar, both were nominated as a thank you for their hard work and effort that they have put in. 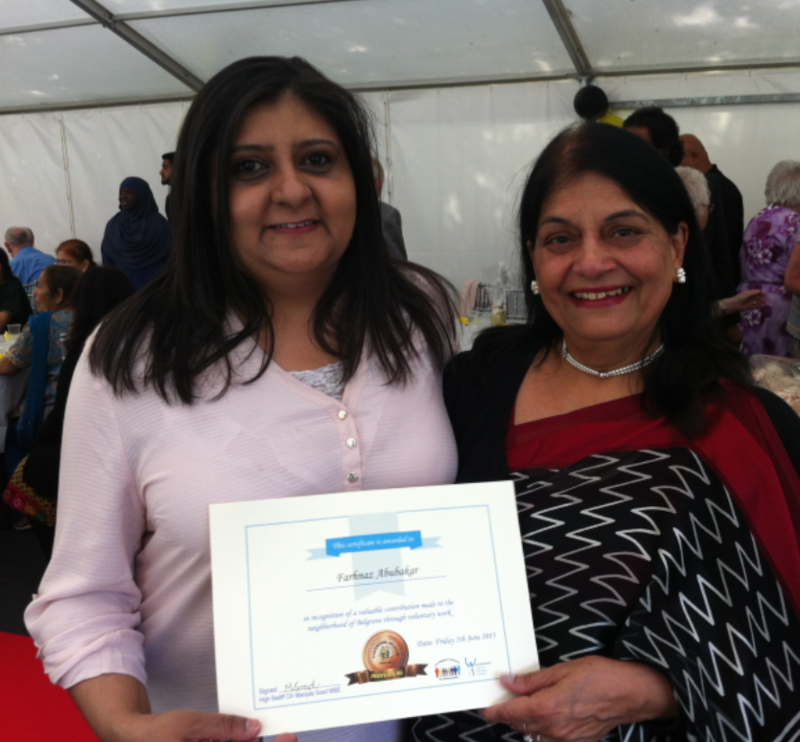 Sahresh has recently graduated as an audiologist and has helped us at our hearing checks events. She was a dedicated volunteer and her work has been much appreciated. Farhnaz has been an amazing volunteer for us, not only has she helped us with our hearing check events filling our enrolment forms but she has also helped us with some important office work. Her help has been much appreciated and we can’t wait to have her back again! Farhnaz is also a great student as has also recently completed her BSL level 2 with us. Both Gurpreet and J’enna, Development Officer and Volunteer Coordinator, cannot wait to nominate more of our helpful volunteers for the next Belgrave Volunteers Award! Both were presented with a jar of Leicestershire honey, and a certificate thanking and celebrating their voluntary contributions to Action Deafness. After the presentations both volunteers and guests were able to enjoy a delicious buffet of a variety of sandwiches and cakes and a cake made especially for the event, ‘Celebrating Volunteering in Belgrave Community 2015’. Well done Sahresh and Farhnaz!